I love cycling – especially dirt road cycling and I am blessed to have access to endless miles of dirt roads where I live. One thing I have learned is that it behooves you to have everything you need to fix your bike and limp your bike home when you are deep into a forestry road, miles from cell phone reception. In fact, you may even want to have some survival essentials with you to ensure you can get through a night in the back country. 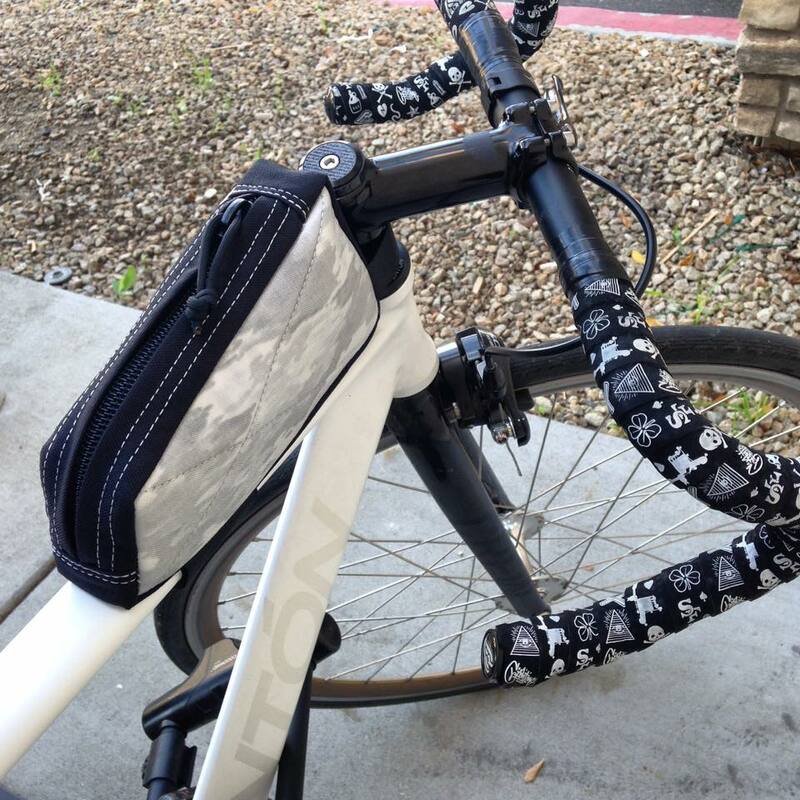 Quality bike bags that can be attached in the right places are the difference between your bike feeling like a stubborn pack mule or like the lively adventure machine that you rolled out of the bike shop. 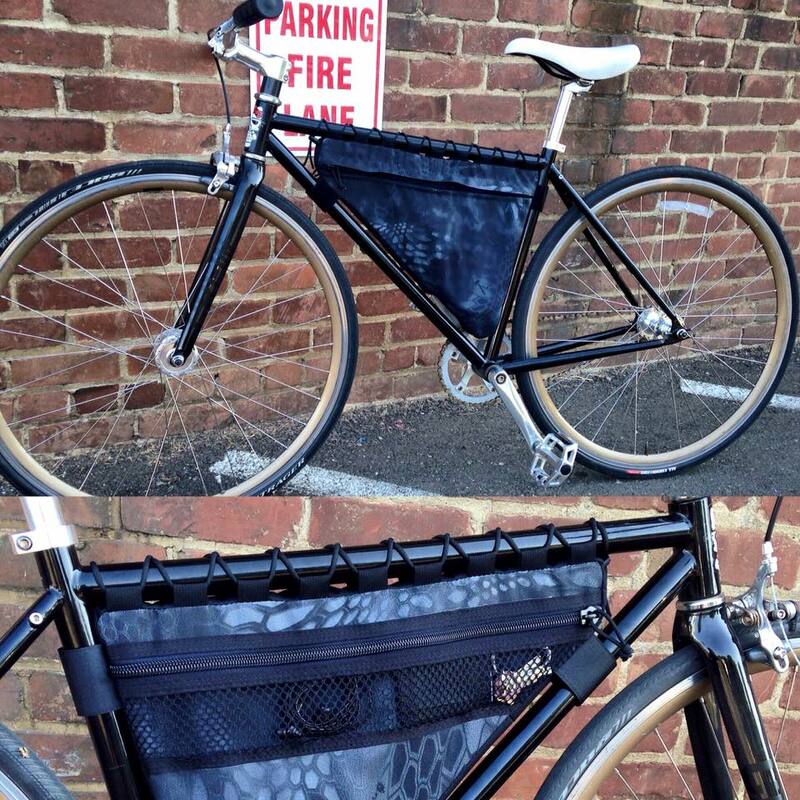 I should also note that bike bags take an absolute beating so they need to be rugged in addition to well designed. Head On Tactical has begun to offer a line of bike bags on a custom basis. The bags may eventually become part of their regular offerings. When constructing their bike bags, they take the same bomb-proof approach as they do with their tactical gear. They have already made everything from top tube bags, to frame triangle bags, to under seat bags. Some combination of those bags plus your hydration pack should provide more than enough space to venture safely into the wilds. 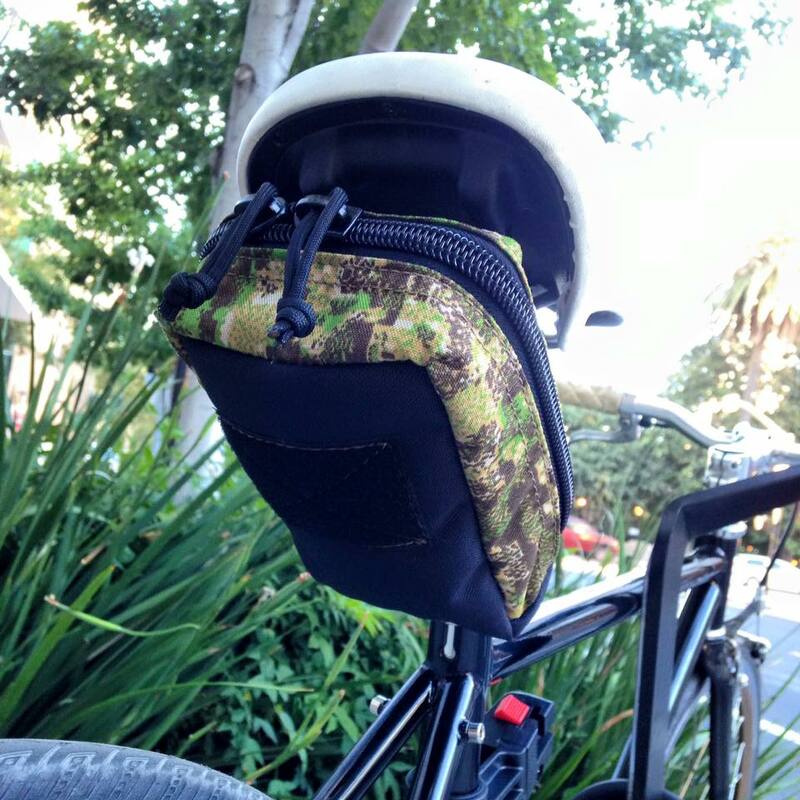 If you are interested in having Head On Tactical build you some bike bags, you will have to contact them directly. They are a full custom shop and experienced in tailoring their designs to your requirements. Check out Head On Tactical. The V3 Pack from Head On Tactical is the first pack to be part of their regular production line up. 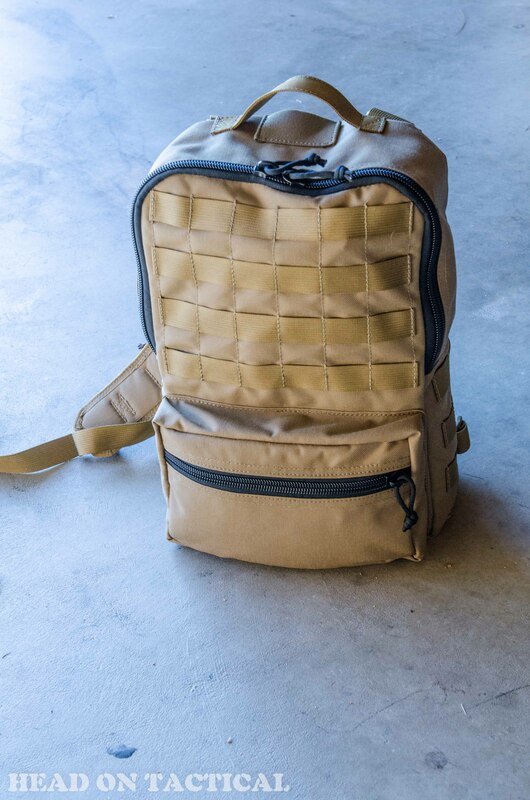 This backpack’s easy-to-pack shape and moderate size (15″ x 10″ x 5″) make it useful for anything from travel and EDC, to range duty. The bag features a large, front loading main compartment with zippered opening. 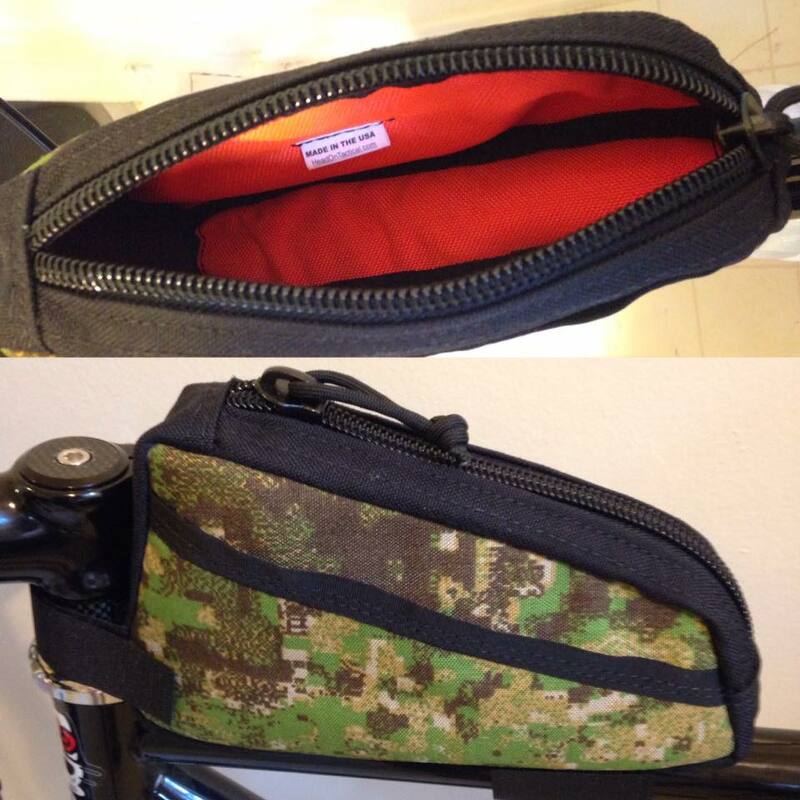 The main compartment has a loop Velcro lining on the back wall for affixing hook Velcro backed pouches. There is a smaller stash pocket located on the front of the pack for storing smaller items. The front of the pack has a large 6 x 4 PALS grid and both sides have smaller 2 x 4 PALS grids for attaching additional pouches. 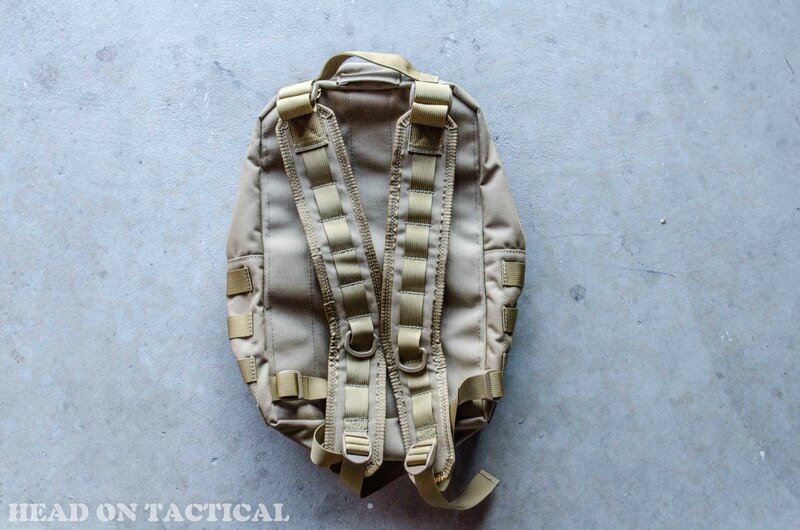 Check out the V3 Pack at Head On Tactical. Need a wallet? You’re in luck. 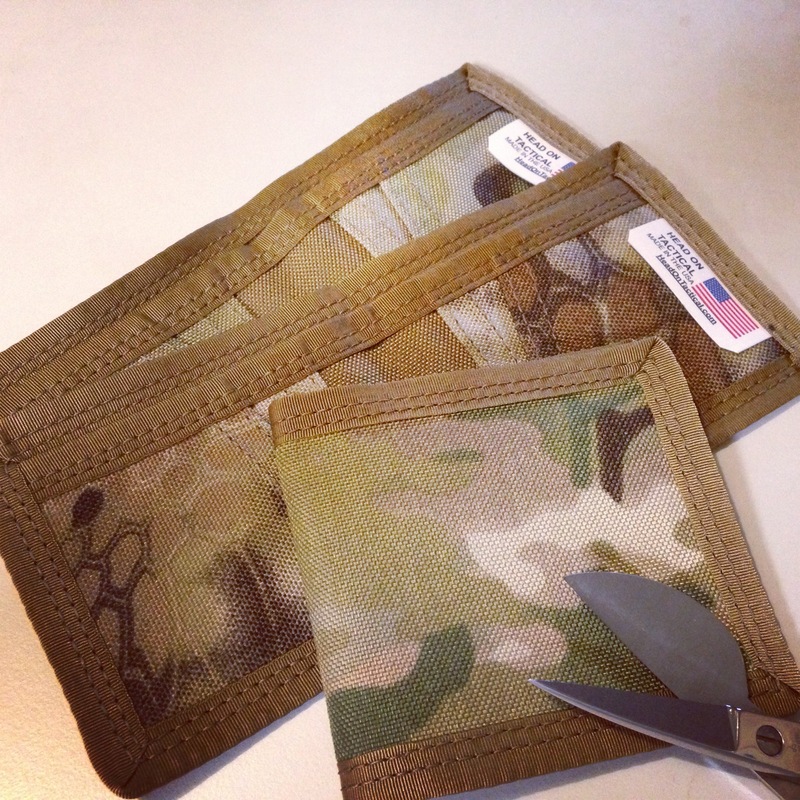 Head On Tactical makes a bi-fold wallet that is a great deal. These wallets are made from 1000D Cordura nylon with bound edges and just enough organization to be useful. The best part is that it costs just $12. I have seen similar wallets that cost twice that or more! Check it out at Head On Tactical. 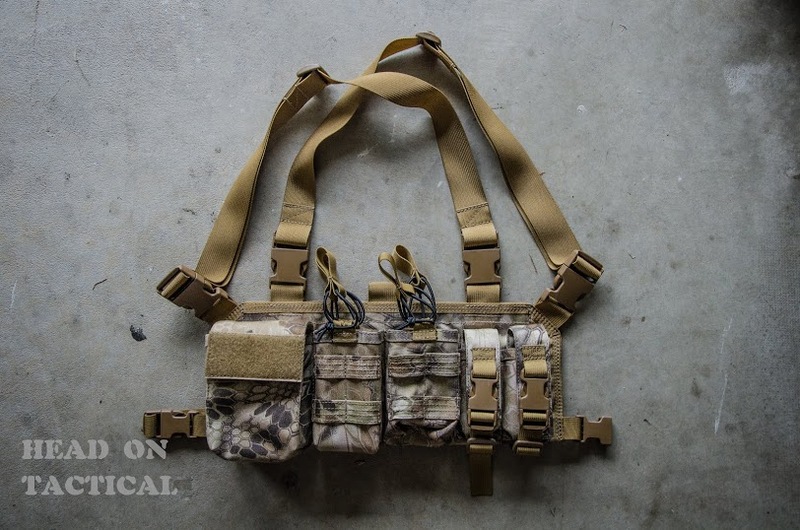 Head On Tactical has introduced two new chest rigs – the Battle Rig and the Honey Badger Rig. The two chest rigs are similar in that they both have “X” harnesses, integrated flap and buckle secured pistol mag pouches, an integrated GP/IFAK pouch, and a map pocket in the body of the rig. They differ in the configuration of their magazines pouches. The Battle Rig has 3 double M4 magazine pouches (3 pouches x 2 mags per pouch = 6 mags). The pouches are secured with flaps and have bungee cord compression straps to help keep single mags from moving too much. 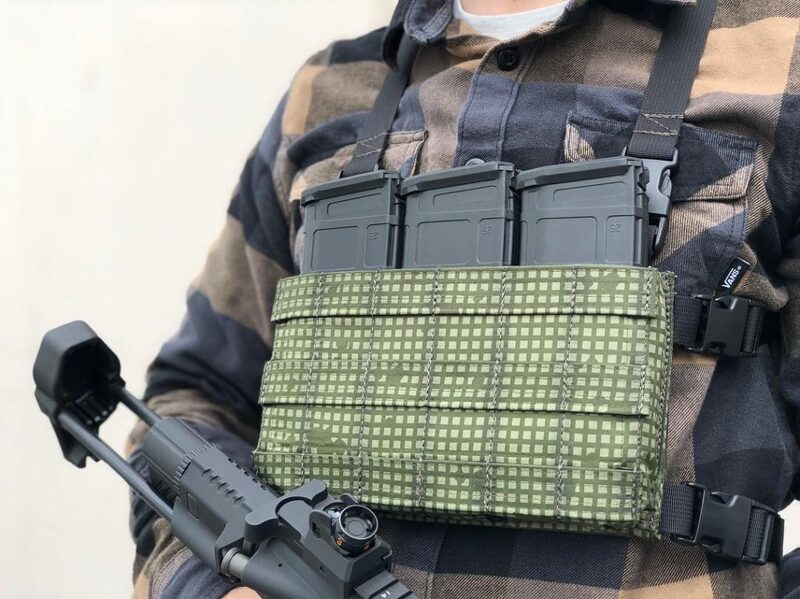 The Honey Badger rig has 4 open top magazine pouches. Each pouch can hold a single M4 or AK magazine and is secured with a bungee retainer. 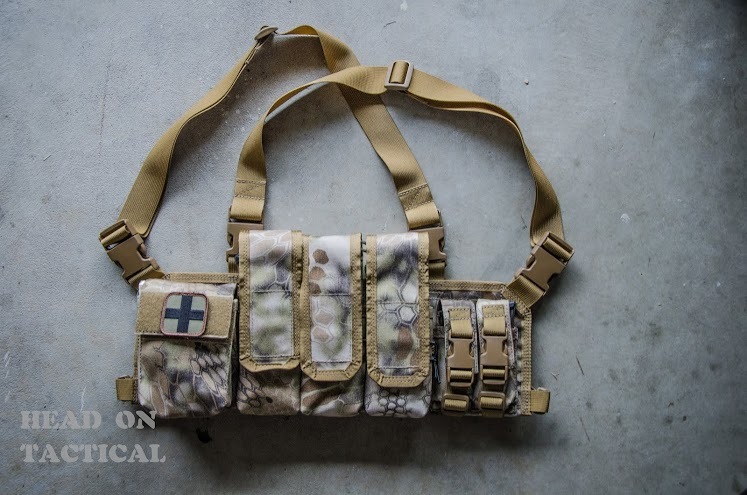 The interior of the mag pouches has loop material so that magazines can be retained by sticking a small piece of hook material to the magazine or kydex inserts made be used. Check out both new rigs at Head On Tactical.